The Star Trek Original Series Delta Wine Glass is perfect for a nice Romulan ale while boldy going where no one has gone before. 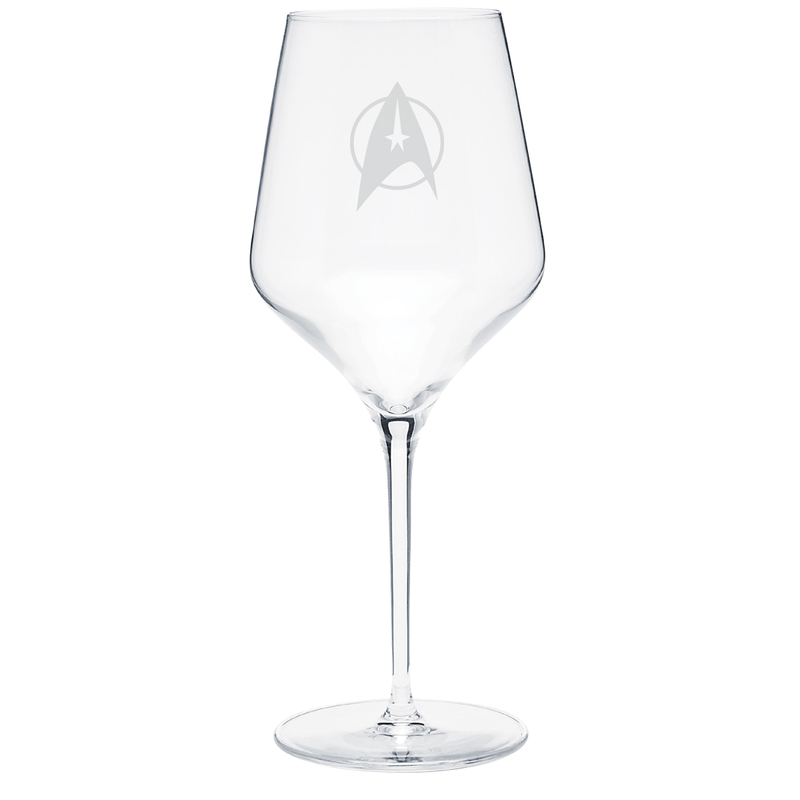 This 16oz wine glass features the Delta from the original series and is perfect for hosting visitors on the Enterprise or in your home. 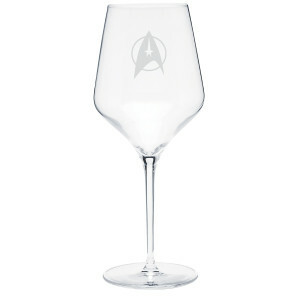 The Star Trek Prism Wine Glass is indeed a very beautiful wine glass which would grace any dining table whether it be in the 21st or 23rd century. The obvious utmost care take taken in the packaging ensured a safe teleportation to my home in the UK. Can't wait to show them off to my dinner guests.